Use these Connecto Tubing Tees when you want to run tubing in opposite directions off one speed riser. Irritec USA, a leader in irrigation technology, brings us Connecto Fittings and Speed Risers, a revolutionary breakthrough in riser technology. 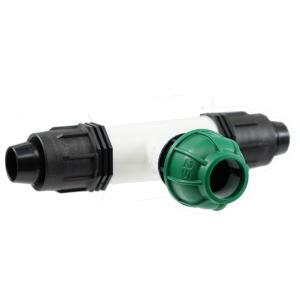 Connecto fittings and Speed Risers perform the same function as traditional flexible PVC risers but are quicker to install, more durable, while offering the ultimate in protection for your underground pipes. 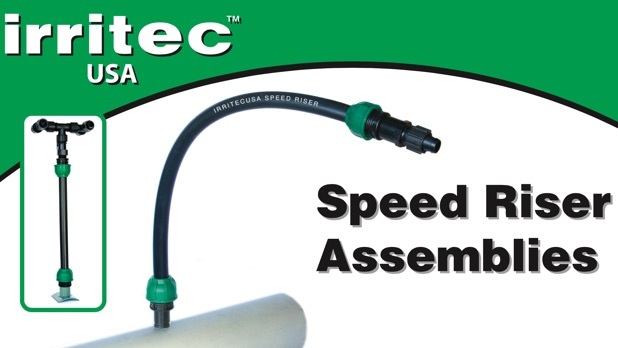 Speed Risers and Connecto fittings utilize Irritec Connecto® technology, an industry standard for high pressure water systems, adapted for use in Agricultural applications where flexible PVC material is used. Please note: Connecto fittings will only work with Speed Riser Tubes. They do not fit any other tubing. You can find the Speed Risers linked under the Accessories below. Recommended Usage - In any open field, orchard, vineyard or greenhouse.